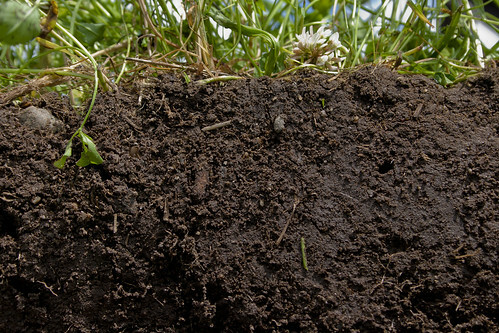 The rich, deep color of this soil indicates exactly what healthy soil looks like. Use of a diverse blend of crops, grasses, and cover crops creates a protective blanket that feeds and nurtures the soil. USDA-NRCS photo by Catherine Ulitsky. Keywords Soil. Soil Health. Organic matter. Cover crops. Crop residue.